How can we save the sweet life? Canaries in a coal mine? 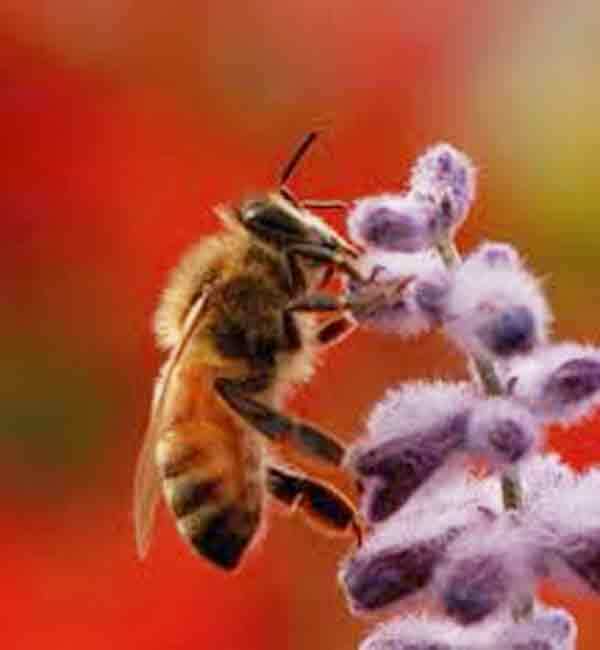 Read about the threat to honeybees' sweet life. 1. What is the sweet life? 2. Is it really at risk? If so, what is the evidence? 3. Given the risk, Why should this entity (the sweet life) be saved? and Why should we care if it is at risk? 4. If the sweet life is actually threatened what are the major threats? 5. Are these threats relentless or can they be successfully countered? 7. Who should lead the way? 8. How should they lead? The sweet life is a metaphor for the best that life can offer: infinite resources, great food and drink, health, safety, family and community, companionship, a beautiful living environment with clean air and water and healthy resources, respect, the possibility of satisfying and evolving aesthetics, meaningful work, the opportunities to self-realize as well as self-transcend; in short, a life-style we all strive for. The sweet life, aka the good life, is what we all want. The species Homo sapiens is biologically programmed to strive for the best imaginable. This is a no-brainer. 2. Is it at risk? Clearly! Previous posts have provided science-based evidence that we are already adapting to degraded resources and environments. 1. loss of biodiversity and extinctions. Biodiversity is used in this blog as an indicator of quality of life. 4. The major threats to the sweet life are the way we produce and consume. First, we have produced too many people for the earth to support us all in all they ways to which we all wish to become accustomed. Insatiably, we want more and/or different and better. We shop till we drop, because we are insatiable. Remember, we are the dopamine species par excellence. Dopamine marks whatever is important to our survival however that may be conceptualized. It stimulates, motivate, and makes us feel the inimitable pleasure of being very much alive. Nothing compares to a dopamine high. The point in runaway consumption is change: anything new or different or better. Our production models incite new production willynilly, Our consumption models engender in us the desire for something other than what we have. Our hope is in the word anything: anything new or different or better. A good change may become as good a choice as one that leads to bad. 3. Why should the Sweet Life be saved? The sweet life benchmarks the best of the best. Evolution has designed us to be driven by the desire for pleasure, which historically has been embodied in sweet fruits, meats, fish, and creatures.Homo sapiens is biologically driven to strive to achieve/acquire the best. What is in 2012 considered the sweet life or the good life is both a standard and a goal. From an evolutionary perspective, this standard iconizes the best that all cultures till now can imagine. Icons of the sweet life belong in the Smithsonian: the best wine, the best food, the best housing, the best environments, the best jobs, the best lifestyles, all belong in museums, along with Da Vincis and Picassos. 4. What are the Major Threats to the Sweet Life? The greatest threats are the way we consume/produce, with the results listed above and elsewhere. We want more and other, without discrimination. More and more and more and something different. Whatever are we thinking?!!!! Not least, we keep on producing more. The population of the world at 7 billion is way beyond the capacity of the earth to sustain us given our present consumption and production trends. Our old Industrial Revolution business models of supply and demand with triple bottom lines of profit, society and environment leave out two huge factors, the two that make life worth-while: aesthetics and ethics. The sense of what is right and the sense of what is good and beautiful. 5. Can we save the sweet life? Perhaps. if every one of us who has an interest in the sweet life does everything he or she can to save the sweet life, maybe we can save it. Technology has been seen as the savior, but the loss of apex predators, mass extinctions, loss of habitat, ocean acidification & warming, and climate change present Technology with unprecedented challenges. 6. How should we do it? Since the problem is in the way and rate we consume and produce, the solutions are most likely to lie in consumption and production. Those who know what is at stake should lead the way, using the best available knowledge of the way and the ways. 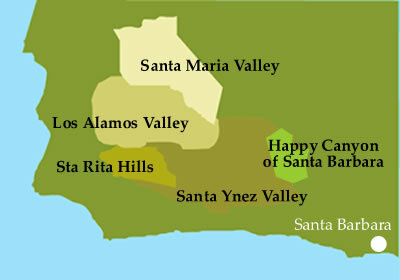 In the last post I suggested that here in Santa Barbara, which is iconic of the sweet life, wine producers of the wines rated the best in the world of their kind should lead the way. I also claimed that just doing one's own thing superbly, such as producing world-class wines, is no longer enough. The stewardship mantle has been placed on the shoulders of those who appreciate the best and will fight for that best and will lead the way for others.I have identified winemakers of the highest quality wines as aestheticians who know and understand the best and who will do almost anything to achieve it, and have actually already done it at least once. They know what is at stake. Producers should not only increasingly adopt those wine-making practices considered most ecologically sustainable; simultaneously, they should fully involve consumers in their production processes. They should report with the highest transparency what they are doing in the most easily accessed channel, which is in 2012, the Internet. In 2012 the leading-edge model of ecological production is life cycle whole-systems thinking , manifested in a life cycle analysis (LCA). Pioneers are the first to settle a territory, whether physical or virtual. They venture forth into uncharted lands and chart and provide the data for charting. Facebook is charting virtual territory, while Columbus charted geographical domains. Their motivations may be conceptualized variously, as a drive towards profit, a drive towards conquering the unknown, and now, a drive towards saving the vibrancy of our global ecosystem. 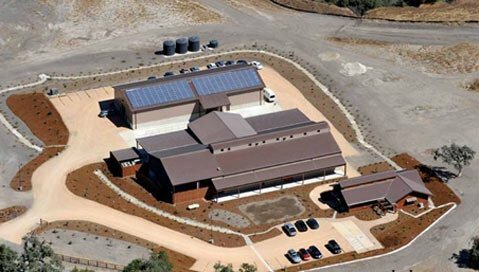 Pioneers today include wineries such as the pioneering solar enterprises of Rodney Strong Winery, arguably with the largest solar array in the wine industry. Sonoma County's Rodney Strong Vineyards owners installed a 766-kilowatt, 4,032-panel solar-electric system. This array can power 800 homes, reduces emissions of carbon dioxide by 89,700 tons, which is equal to planting 2,500 acres of trees or not driving 22 million miles on California's roadways. Metrics are important! This winery is also certified by Fish Friendly Farming. Other pioneering efforts designed to support a vibrant global ecosystem are wineries such as Yalumba that have adapted the LCA model as part of their commitment to ecological sustainability and provide comprehensive online- reports with sufficient data to create partners with engaged consumers. Metrics have proved to be useful indicators of ecologically sustainable activity. "What pioneers do today often becomes mainstream tomorrow"
The conclusion of this post is that the local producers and consumers of premier wines need to select not only the right wine but the right winery, the right consumers and the right process. Both producer and consumer need to do the right thing by their environments, which are qualitatively irreplaceable. One relatively uncharted territory for innovative pioneers is that of actively engaging consumers in the role of stewardship of earth's vibrant but threatened ecosystems. Producers need to proactively recruit their consumers as collaborative stewards.They need to regard their consumers as co-creators of an ecologically top quality future. Both producers and consumers need to hold each other responsible for the highest quality future imaginable. As far as I can see, the best means of doing this is to publish online reports of current ecological practices. The ideal model in 2012 seems to be an LCA analysis. Short of that, an informal report directed to consumers of how ecologocially produced a product is points the way towards assuming stewardship and sharing the privileges of stewardship with global consumers. The following if a partial list of producers of premier wines who could lead the way should they decide that is what needs to be done. "...As a business leader, the future of the world has become your business."